Note: Materials of FD02XX series are diffused alloy steel powder which is basing on ATOMET DB46 and including graphitic lubricant. The base powder contains 0.5%Mo, 1.5%Cu and 1.75%Ni. The Mo is pre-alloyed and the Co & Ni are added via diffusion bonding method. With polyphase microstructure, this material applies to components requesting medium or high intensity. Also we can improve their intensity and abradability through heat treatment. 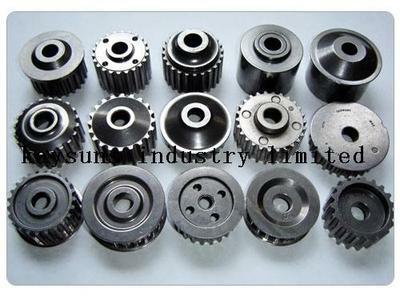 Note: Materials of Iron-Carbon Series apply to components requesting low or medium intensity. 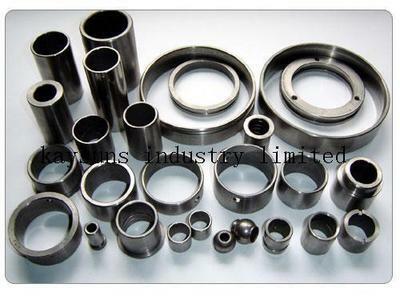 For material F-0005 & F-0008, not only we can improve their intensity and abradability through heat treatment but also enhance hardness, anti-rust, hole sealing and so on via steam treatment. OMP: The powder used for Iron-Carbon Series is basing on ATOMET 1001 atomized powder whose purity is 99% or above and then includes some other additives. 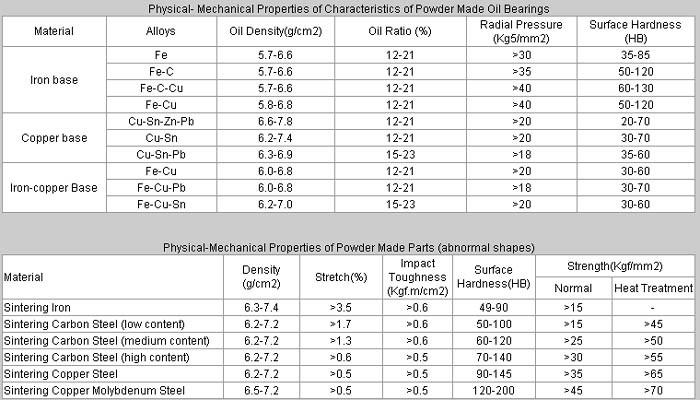 Note: Materials of Iron-Copper-Carbon Series apply to components requesting medium intensity. Normally the copper content is 2%. 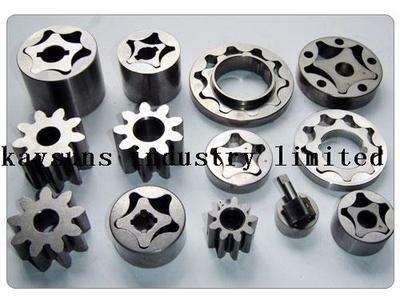 If there is the need of cutting machining, the carbon content will be lower than 0.5%. 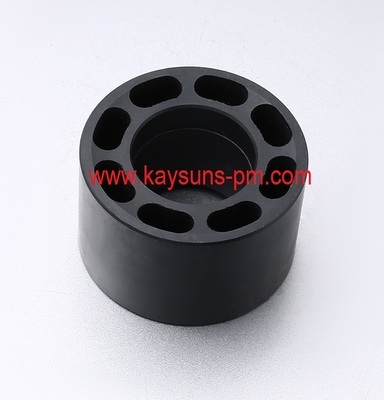 For high carbon materials, we can even add cutting solution to improve machinability. 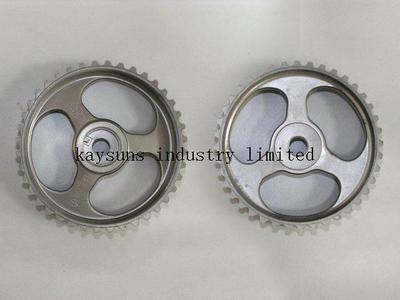 And to improve abradability of the materials, we can take the process of heat treatment. OMP: The powder used for Iron-Copper-Carbon Series is basing on ATOMET 1001 atomized powder whose purity is 99% or above and then includes some other additives. Note: Materials of Iron-Copper-Carbon Series apply to components requesting intensity, abradability, impact property and heat treating. Normally the nickel content is 1%-4%. During normal sintering process, the diffusion of nickel is incomplete which leads to high nickel austenite, bainite and martensite. But through sintering in high temperature, the nickel will spread and then high nickel areas will lessen. 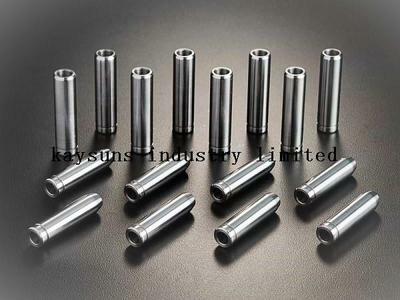 In heat treating process, high nickel areas show lighter color and the core is austenite surrounded by needle-like martensite.